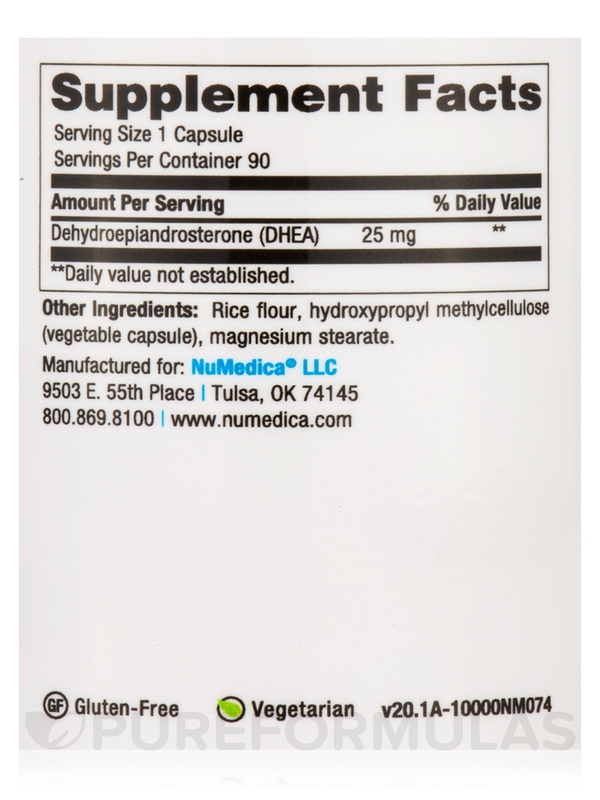 I ordered DHEA by NuMedica as it was suggested by the woman's clinic that was managing my PCOS. It helps balance my hormones. It shipped quickly and I like the auto ship and points for reorders. Very convenient. 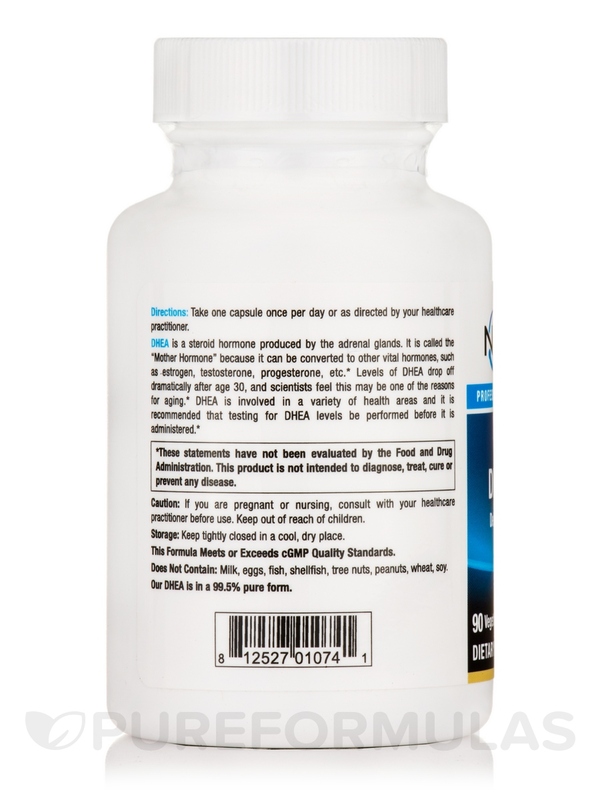 DHEA is a steroid hormone produced by the adrenal glands. It is called the "Mother Hormone" because it can be converted to other vital hormones‚ such as estrogen‚ testosterone‚ progesterone‚ etc. 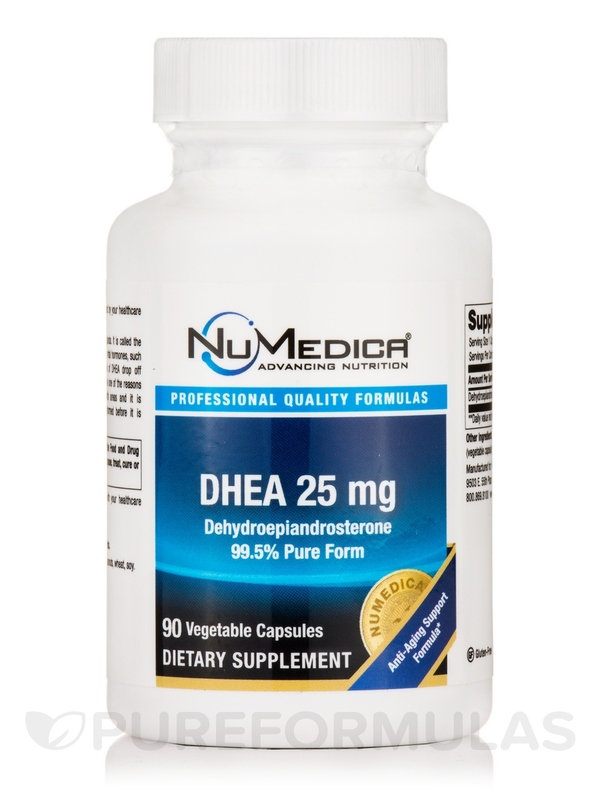 Levels of DHEA drop off dramatically after age 30‚ and scientists feel this may be one of the reasons for aging. DHEA is involved in a variety of health areas and it is recommended that testing for DHEA levels be performed before it is administered. This DHEA is in a 99.5% pure form. Other Ingredients: Rice flour‚ hydroxypropyl methylcellulose (vegetable capsule)‚ magnesium stearate. 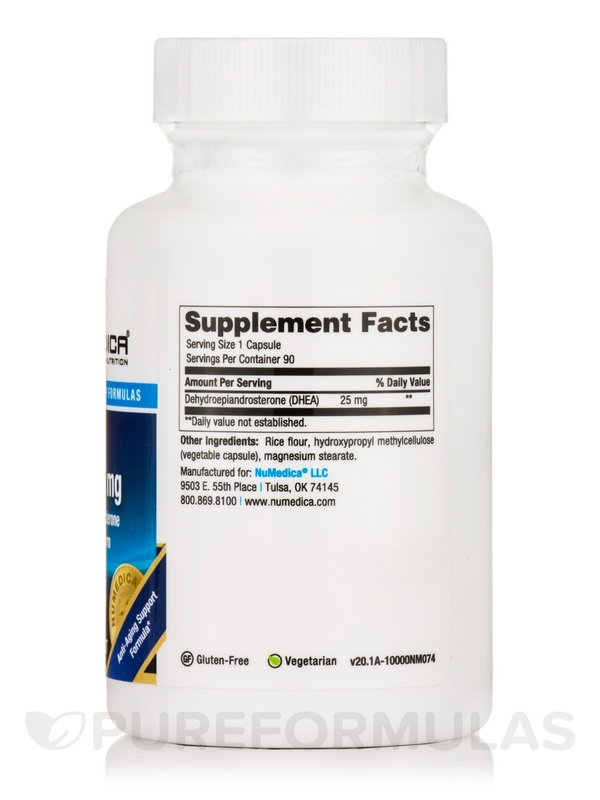 Take one capsule once per day or as directed by your healthcare practitioner. If you are pregnant or nursing‚ consult with your healthcare practitioner before use. Great price, works for me. 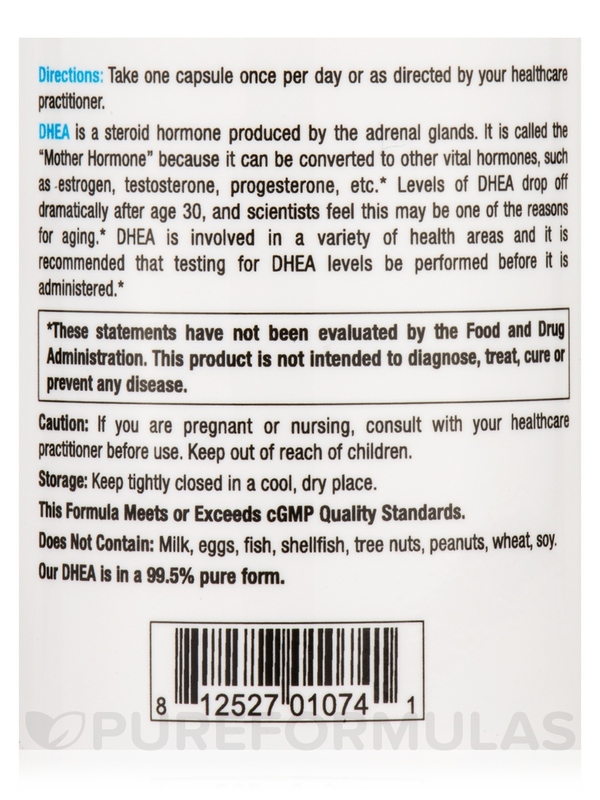 My natural medicine doctor recommended DHEA by NuMedica to me due to my low estrogen levels. So far so good! I will continue to order from PureFormulas. The shipping was fast!